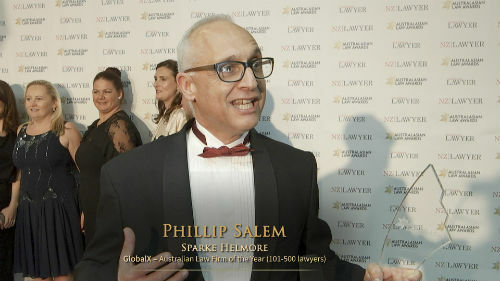 The man killed in a major car accident in NZ a former judge’s son… Survey finds mid-tiers took a hit in 2015 and skyrocketing rent in HK’s CBD is sending law firms farther a-field. Fairfax has reported this morning that the man, who died in an accident when the car he was in plunged into the Waipoua River in NZ on the weekend, was the son of Justice Ron Young, a former High Court judge. The Holden Commodore hit a concrete barrier and hurtled into the Waipoua River around 4am on Saturday, police pulling Benjamin Young, 35, from the wreckage. “At this stage the evidence strongly points to the driver being Mr Young. However, inquiries are continuing in relation to this crash,” a police spokeswoman said, adding that the crash is still under investigation. The funeral will be held this week and Young’s family have asked that people donate to the Life Flight Trust, whose rescue helicopter saved three passengers who had climbed onto the car’s roof. Justice Ron Young retired last year after 26 years a judge. Mid-tier law firms took a major hit in 2015 according to the American Lawyer rankings released yesterday. For the largest 101-200 US firms, revenue dropped by 3.2% on average, profits remaining flat. “AmLaw 200 clients tend to be smaller, so I think budgets in that in-house world for outside counsel is shrinking,” said American Lawyer editor in chief Kim Kleman. Top-tiers did substantially better, the largest 1-100 firms increasing revenue year on year by 2.7%, the survey found. Concerns over high rent in Hong Kong’s CBD are causing law firms to look for alternative office spaces in the eastern half of the island. The South China Morning Post reported that the average office rents in the CBD stood at HK$105.60 per square foot in April, vacancy of Grade A offices at just 1.4%. Berwin Leighton Paisner is the first international firm to open an office in Quarry Bay after signing a six-year lease and Ince & Co looks set to follow. Cleary Gottieb Steen & Hamilton was the first Wall Street firm to move out of Hong Kong’s CBD, in 2013 relocating to Causeway Bay.